There's nothing a kitten likes better than to play with a ball of yarn, and little Pompom has a big selection from which to choose. 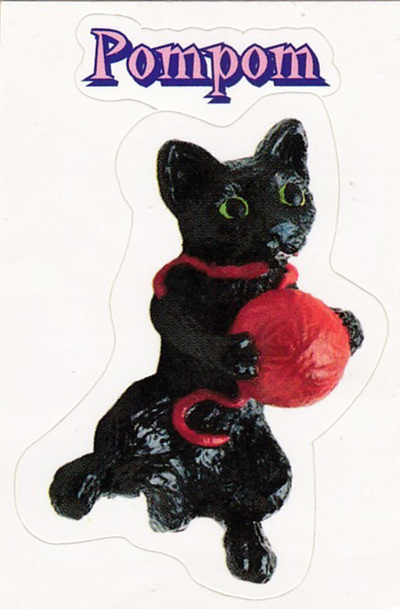 That's because this lucky little kitty lives in a yarn shop. 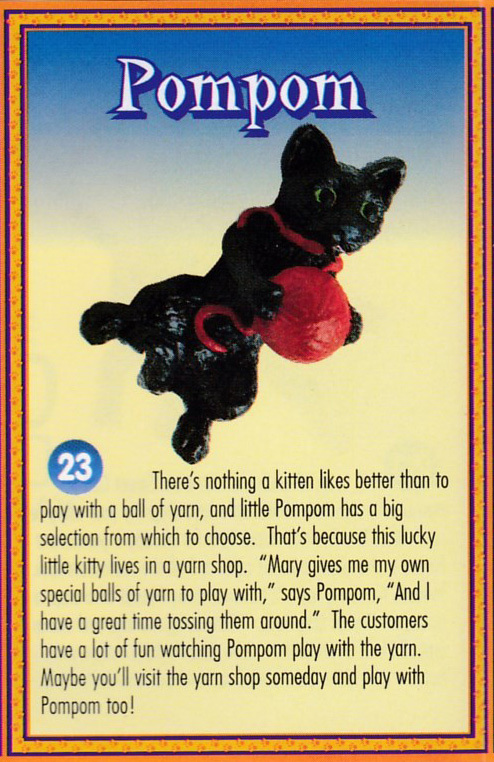 "Mary gives me my own special balls of yarn to play with," says Pompom, "And I have a great time tossing them around." The customers have a lot of fun watching Pompom play with the yarn. 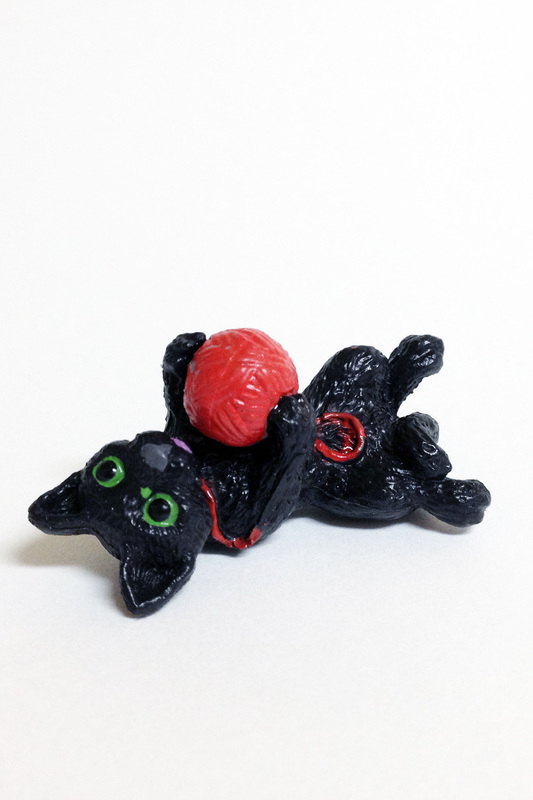 Maybe you'll visit the yarn shop someday and play with Pompom, too!